Come and explore our local area and discover unspoilt countryside, Northern hospitality, enchanting towns and villages, Lancashire is rural heaven. Angram Green is the perfect base for exploring Pendle, The Forest of Bowland, Ribble Valley and beyond. We are ideally situated for walking, cycling, nature and bird watching as well as sightseeing and shopping. 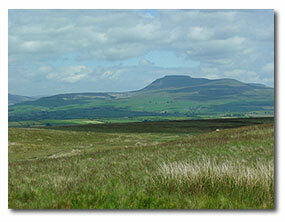 We are 15 miles from Skipton, the gateway to the Yorkshire Dales National Park. The Lake District National Park is an hour away and Blackpool and the coast less than an hour away. For City shopping, museums and nightlife Preston and Manchester are also an hour away. A well trodden network of foot paths in Lancashire make walking a real pleasure. Beacon Fell and the Forest of Bowland Area of Outstanding Natural Beauty are on our doorstep and are ideal for walkers and cyclists alike. There are several Quiet lanes locally passing through beautiful villages. The Lancashire Cycleway uses minor roads and is well signposted. 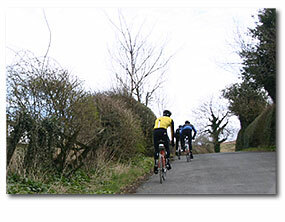 More adventurous cyclists can head for Gisburn Forest where there is 16 km of cycle network to be enjoyed. 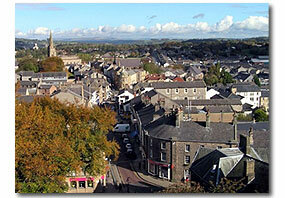 Clitheroe (2miles) is our nearest town. Here you can find practically everything you need. There is a selection of independent stores and a vibrant market. Why not try out the award winning sausage shop and wine merchants? The towns most prominent feature is the 12th Century Norman keep set on an outcrop of limestone rock. The views of the valley are spectacular once you are up on the ramparts. There is also a museum and colourful grounds to amble through. The quaint village of Downham is just 1 mile away and was the famous setting for the film - Whistle Down the Wind. 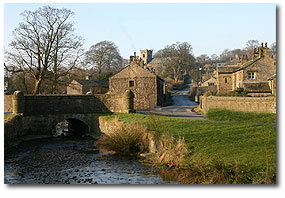 More recently Downham was chosen as the setting for the BBC drama "Born and Bred". There are many picturesque villages with fine country pubs ancient churches and postcard views, of note are Chipping Bolton by Bowland, Waddington, and Slaidburn.